Anyways, I've managed to create the kind of look I would gladly wear to a festival, unfortunately I'm not going to one in the foreseeable future so ya know, Tesco better watch it! P.S. If anyone noticed the nose ring I'm wearing here, it's fake! I was just playing around with it and took some photos so it'll probably appear in a few posts! 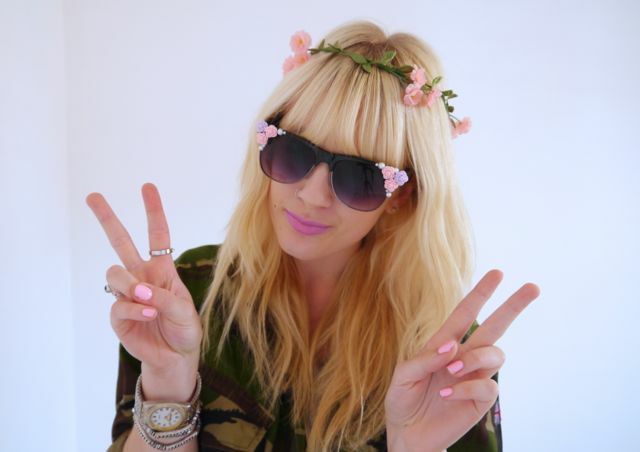 I love the mix of military and florals and you really suit the nose ring! Follow you now on bloglovin and gfc. I love your Army Print jacket! 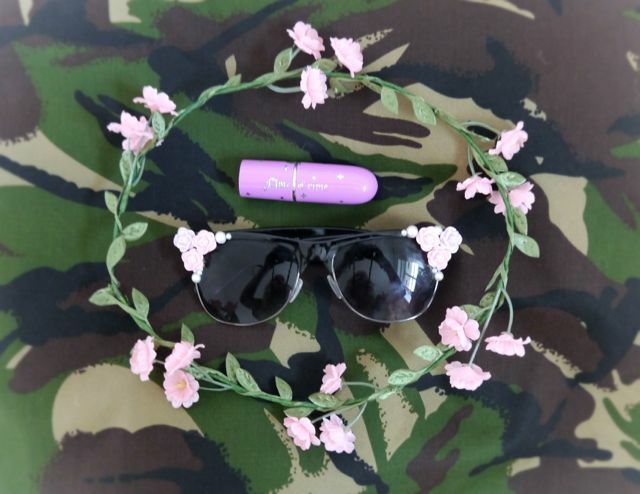 Your sunglasses are great and the colour of your lipstick is gorgeous; amazing post! cute! love how you did your glasses! You have a little Paris Hilton thing going on. Looks cute. love the nose ring, looks so real! i wanna get mine done but I'm too much of a wuss, wouldn't be able to handle the pain! Love this outfit, so jealous that you managed to get a Limecrime lippy whilst out in New York! 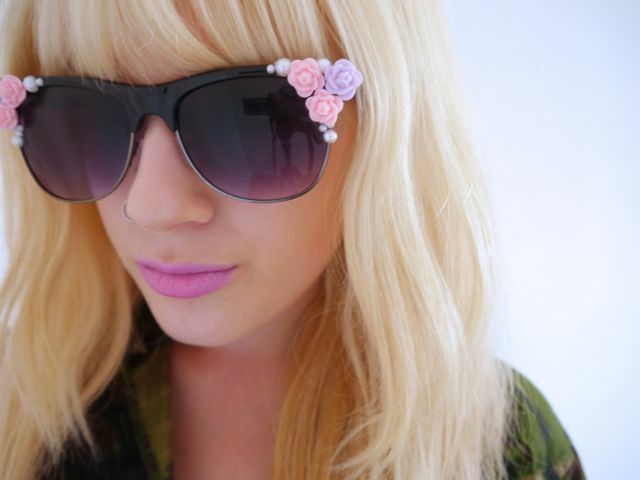 I'm definitely going to have to try your sunglasses DIY - they're so cute! 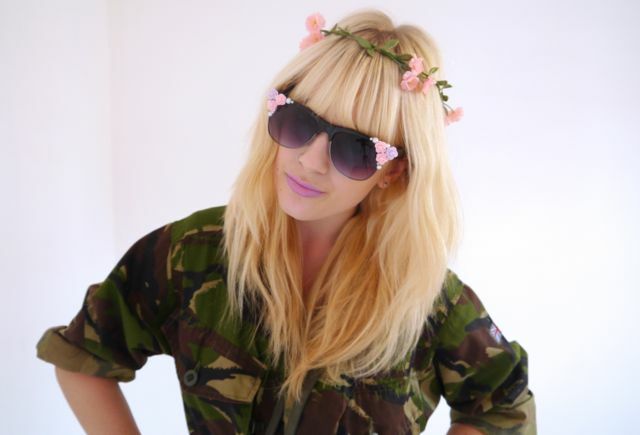 super sweet mix of military jacket and sweet florals - i'm so going to get a new limecrime lipstick too! I've nominated You for the Liebster Blog Award! wow! you look so perfect! Loving the pairing of floral and camo...so unexpected! Fabulous DIY sunglasses...so creative and unique! Loveee the jacket and head piece! !